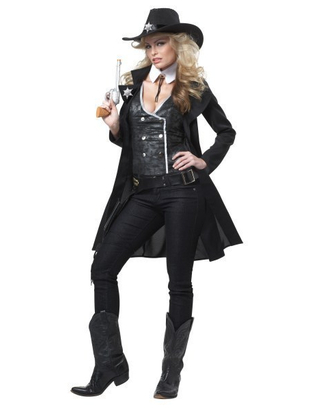 Ladies Round 'Em Up cowgirl costume consists of mid length black coat with attached black waistcoat. It also includes a holster belt and a white collar. 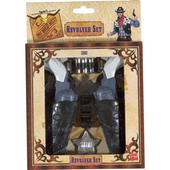 To complete this western look a black hat and two star shaped cow girl badges are also included. 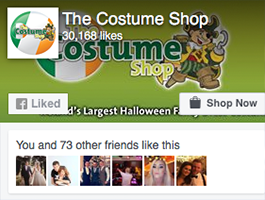 Please note trousers and boots are not included.